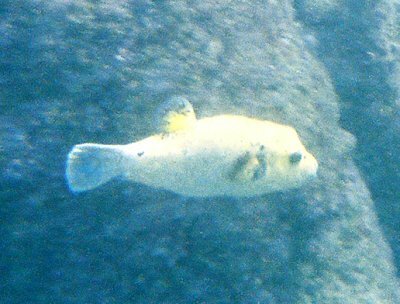 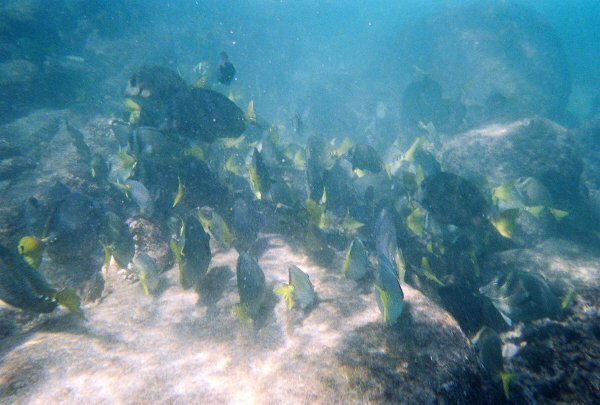 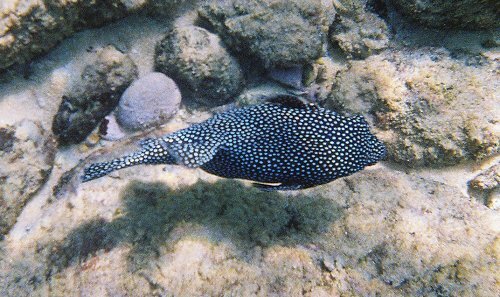 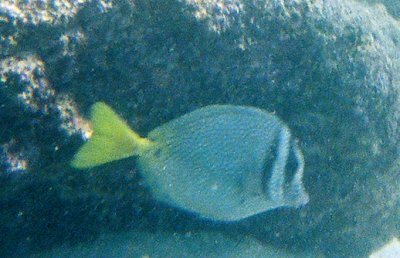 These photos were taken while snorkeling in the area between Playa Manzanillo and Puerto Angelito. 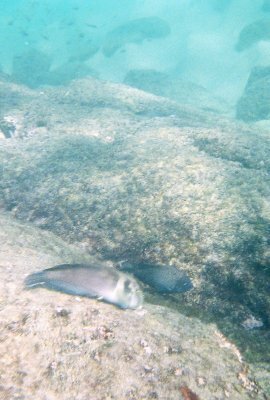 I used a disposable underwater camera. 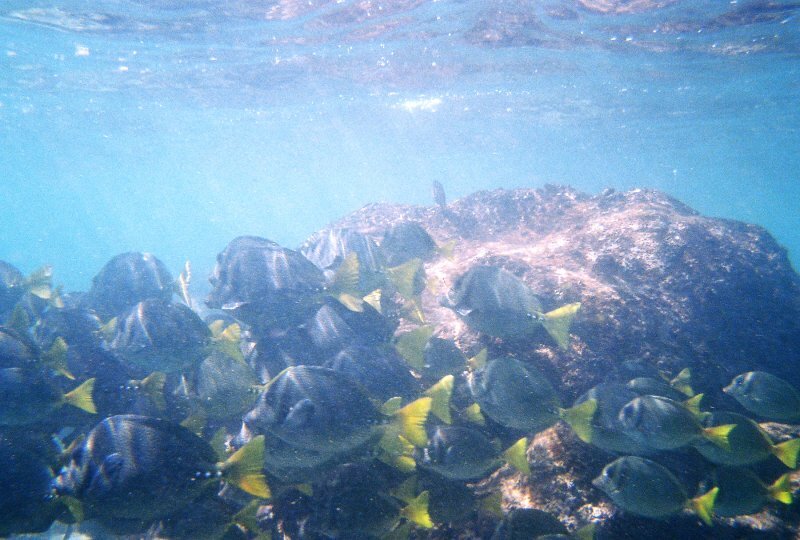 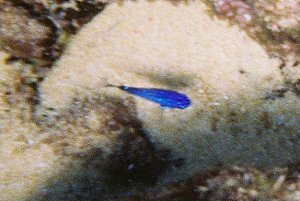 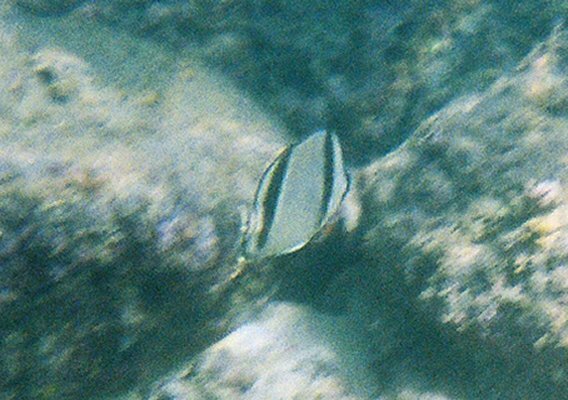 The pictures aren't that great but they give you an idea of what you might see while snorkeling at these beaches. 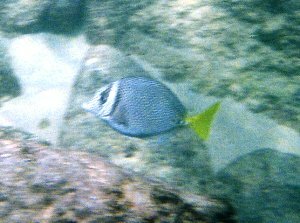 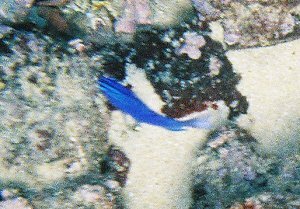 I saw parrot fish, angel fish, puffers, luminescent fish that I don't know the names of, needle fish, a lobster, sea cucumbers, and a large school of hundreds of fish. 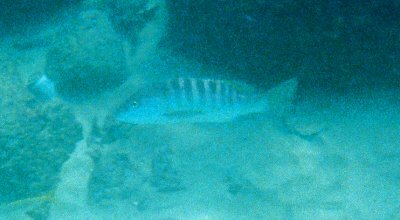 I found the rocky area between the beaches to have the most fish. 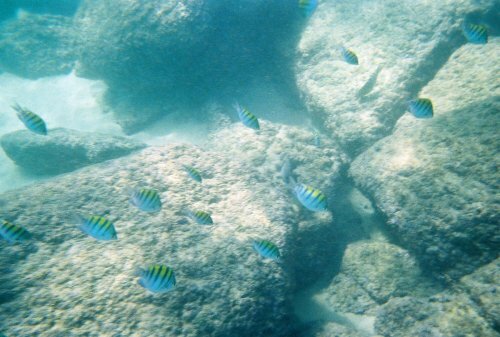 You have to be careful here because some of the rocks lie just beneath the surface and the wave action can knock you against them. 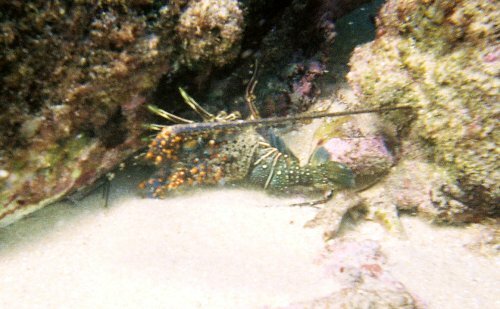 Sea Cucumber. 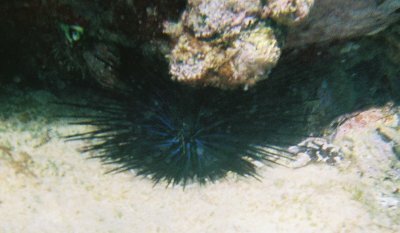 These were more interesting than they look in the photo.